It's back to the work grind, with not a warm day in sight for many of us this time of year. Many working women find this a wonderful excuse to hibernate in the office with piles of work, and a vow not to surface until spring. If you're still recovering from the hassles of traveling over the summer or holidays or getting the kids back to school, another trip may be the last thing on your mind — but it shouldn't be. A long weekend getaway — three nights away from the daily routine — can do wonders to revive the spirit and fortify the soul for the last few dreary winter months. Wherever you live in the country, there is a quick getaway you can set your sights on — so start planning to leave those piles behind! The following five destinations offer vacations ranging from the great outdoors to art and culture, sizzling nightlife or golf and spas. Best of all, you can get a handle on these places within a three-night, four-day timeframe. South Beach, Miami is one destination where the days are hot and the nights even hotter. These two square miles at the southern tip of Miami Beach are packed with trendy hotels, restaurants, nightclubs and shops along a stretch of beach so wide there is room enough for everyone to play in the sun. Stroll or drive through the revitalized Art Deco District - over 800 colorful buildings listed on the National Register of Historic Places. It's the largest concentration of 1920s and 1930s architecture in the world. Take in the art collections at The Bass Museum or a performance at the Jackie Gleason Theater. Browse boutiques along Ocean Drive or shops in the Lincoln Road Shopping District. Just a short distance away, you can visit the Miami neighborhoods such as Coconut Grove or Little Havana, bike or hike the trails on Key Biscayne Island, or view the wildlife in the Florida Everglades. The mountains and waterways of northern New York lend themselves to leisurely drives; hiking and biking trails; climbing a peak for a majestic view; swimming and fishing in a serene lake; or retracing America's past at historic sites throughout the Adirondack region. New York's Adirondack Park is larger than the state of Vermont and is comprised of both public and private lands - the only park in the Unites States to combine the two. Water is as much an attraction as the mountains. There are over 3,000 ponds and lakes, 1,500 miles of river and many miles of stream. Boating, sailing, canoeing, kayaking and whitewater rafting are all available to visitors. 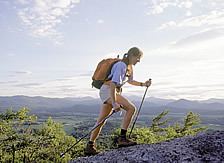 There are also 2,000 miles of trails, some to hike, ski and snowshoe, and others to snowmobile or horseback ride. There are over 40 public campgrounds, but you can also stay in lodging ranging from cabins and cottages to upscale, luxury inns. Within the park you'll see wildlife such as deer, fox, coyotes, black bear, moose, beaver and otters. No matter the season, there is plenty to explore in the Adirondacks. At 7,000 feet above sea level, the crisp, clean mountain air of this third-largest city in New Mexico is not the only thing that will surprise visitors. It's the second oldest city in the United States (founded in 1607), and is considered the highest and oldest capital city. Though peak tourist season is between April and October, the city offers plenty to do year round. In the winter, visitors can ski down 43 runs, cozy up in luxury accommodations, or take in a symphony or chorus performance. 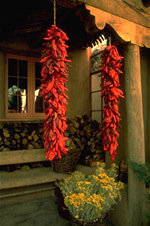 You can also peruse exhibitions at nearby museums including the Georgia O'Keefe Museum and the Museum of Spanish Colonial Art, browse the many galleries and shops, or linger over exceptional cuisine at a variety of renowned restaurants. Warm weather brings everyone outside to the great outdoors, where you can hike, bike, horseback ride, raft, fish and hunt. The city's more than 230 galleries make for a great excuse to stroll around town, especially on Canyon Road. Everything to see and do in Telluride is packed into the tiny eight-by-12 block town, that and the stunning landscape of mountains that make up the outdoor playground surrounding it. People prefer to walk from place to place in town, so it's the perfect getaway for those who would rather not drive. 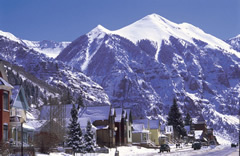 Free shuttles take guests between downtown Telluride and the rest of the lodging, dining and shopping in Mountain Village. One can almost picture the days when miners came here searching for gold and silver, back when the town was founded in 1878. Mountain Village's modern luxury hotels and upscale boutiques provide a nice contrast to town. Founded in 1987, the village makes for a nice stop after a day of skiing in the mountains. Of course, there is plenty to do here besides skiing. Winter activities include snowshoeing, snowboarding, cross-country skiing, dog sledding, snowmobiling, ice skating and horseback riding, which you can also do in the summertime. When the weather warms and mountains shed their winter white for greener hues, visitors hike, bike, river raft, fly fish, jeep and tour the landscape, and attend the many summer festivals. It's difficult to believe that the eight desert cities that make up Palm Spring Desert Resorts are located on land settled by Cahuilla Indians about 2,000 years ago. Today this oasis in the desert is home to about 10,000 palm trees, 111 golf courses, 30,000 swimming pools and 600 tennis courts - making it the perfect resort getaway. In addition to golf, tennis, hiking, biking, horseback riding and swimming, there are more unconventional pursuits such as hot air ballooning, polo, rock climbing and tandem skydiving. With 350 days of sunshine annually you're almost guaranteed to have clear skies during your trip - no matter how short. Attractions and activities include shopping the boutiques in the exclusive shopping districts of El Paseo and Palm Canyon Drive, visiting Joshua Tree National Park, trying your luck at an Indian-owned casino or cooling off in the IMAX Theater. When the sun goes down, nightlife runs the gamut from piano bars and coffee houses to sports bars and disco clubs. After you've seen and done as much as you can fit in, relax with a mineral bath or pampering trip to a spa.